AS A BUSINESS IT IS CRUCIAL THAT YOU HAVE AN ESTABLISHED BRAND. AN EFFECTIVE LOGO AND MARKETING IMPROVES VISIBILITY AMONGST POTENTIAL CUSTOMERS. AFTER ALL, WE ALL WANT TO BE IMMEDIATELY RECOGNISED WHEN WE PASS A WORKS VAN OR NOTICE AN ADVERTISEMENT. Here at Get Your Mobi we work with you to ensure that you have the right approach to your digital marketing and brand awareness. Following the Christmas period isn’t always easy. According to reports, like-for-like sales at Argos and Sainsbury’s were down 1.1%. Other businesses struggled as well, with Marks & Spencer down 2.2% and Debenhams at a shocking 5.7% loss like-for-like. A nervous market, impending Brexit and reluctant spenders only adds to the struggles. However, this doesn’t make it impossible to improve sales. Creating strong brand awareness and identity can make all the difference. This is especially relevant for small, local based businesses. Your main aim should be to develop awareness across your target locations. This helps to build trust among your customers as they will grow to recognise you as a local and loved company. A great way of doing this is to use content on your website and social media channels that make the most of this. Try mentioning local events and post examples of your previous work. With a strong logo and coherent website design, you can achieve all your goals. Using the same colour palette, font or name develops a clear identity. Entrepreneur, author, speaker and business expert Ramon Ray has said: “People immediately recognize a Starbucks logo or a BMW logo because those logos are consistently displayed and used by each Brand. As a small business, it is still important to create a recognisable design and logo. You should work to develop something which is clear and helps you to stand out above your competition. As one of the most powerful marketing tools out there, it is necessary that you make full use of your online profiles. Natural ranking and paid ads on search engines will bring you results. 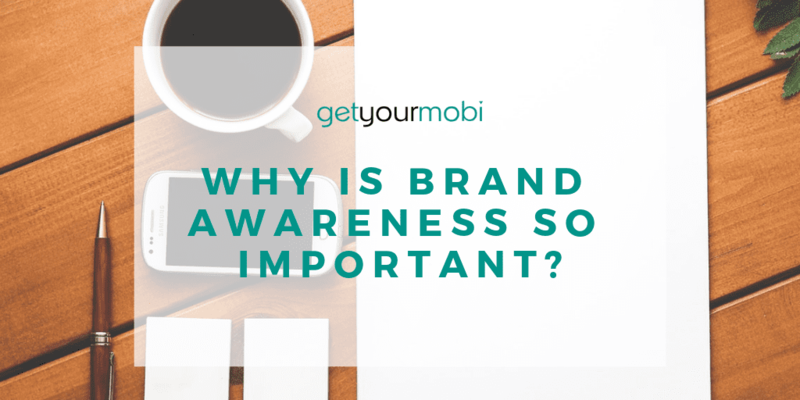 However, when it comes to brand awareness, becoming a familiar face on social media helps. Using the same branding and posting regularly helps people to find you. Sharing blogs or recent news that relates to your company helps too, as it shows that you are in the loop. As well as using Twitter, Instagram and Facebook, you should consider using LinkedIn. This platform is useful for those wanting to explore connections and can bring your business to a wider audience. If you would like to find out more about our digital marketing services, please feel free to get in contact with us.